Mid-tier Canadian miner B2Gold (TSX, NYSE:BTO) said Thursday it had achieved record fourth quarter and full-year output in 2017, thanks mainly to the start of commercial production at its Fekola mine, in south-western Mali. 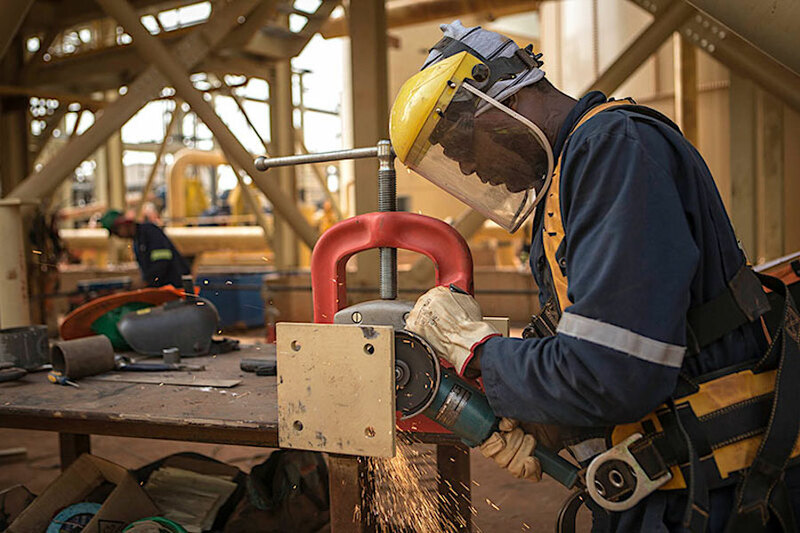 The Vancouver-based company, which poured its first gold at Fekola in November, produced 630,565 ounces of the yellow metal last year, a figure that includes the 79,243 ounces of pre-commercial production from that operation. This is the ninth consecutive year B2Gold achieves record annual gold production, it said. Company expects an even better 2018, with total production growing by at least 300,000 ounces when compared to 2017. The company, which outperformed the S&P/TSX Global Gold Index by a wide margin last year, expects an even better 2018, with total production growing by at least 300,000 ounces when compared to 2017. B2Gold highlighted strong operational performances of both its Masbate mine in the Philippines and Otjikoto in Namibia. Masbate generated 202,468 ounces of gold, the second-highest annual production ever for that operation, just below the 206,224 ounces of gold produced in 2016. Otjikoto also had a record year in 2017, producing an annual record of 191,534 ounces of gold which exceeded the upper end of its revised production guidance range by 6% (or 11,534 ounces) and the top end of its original expected output range by 9% (or 16,534 ounces). In Nicaragua gold production for the year from La Libertad and El Limon mines was 82,337 ounces and 42,776 ounces, respectively, for a combined total of 125,113 ounces. This was slightly below the low end of their combined revised guidance ranges. In 2018, with the planned first full year of production from Fekola, a large but low-cost operation, B2Gold expects a significant reduction in its forecast cash operating costs per ounce and AISC per ounce, which are expected to decrease by approximately 15% compared to 2017. While shares in the company were slightly down in Toronto (-1.08%) to Cdn$3.68 Thursday morning, they have remained in the Cdn$3.60 –Cdn$3.90 range and it’s seen as a promising company by Canaccord Genuity. “Among the producers, we believe B2Gold represents one of the best combinations of growth, operational momentum, gold price leverage and exploration upside, which should all combine to drive significant outperformance over the next 12-18 months,” it said earlier this week.